The Cardinals signed Foster (knee) to a one-year contract Friday, Josh Weinfuss of ESPN.com reports. Analysis: Foster has held promise since entering the NFL as an undrafted free agent in 2016, but he was active just 10 times in his first two seasons before tearing his ACL in August and missing the entire 2018 campaign. Assuming his rehab goes as planned, he may have a tough time supplanting those above him on the depth chart in Arizona, namely David Johnson, Chase Edmonds and T.J. Logan. Foster (knee) said he is ahead of schedule in his rehabilitation from the ACL tear he suffered in late August, Kyle Odegard of the Cardinals' official website reports. 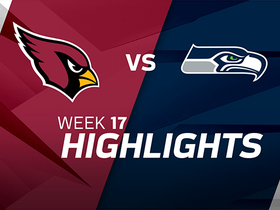 Foster (knee) has been placed on IR, Darren Urban of the Cardinals' official site reports. 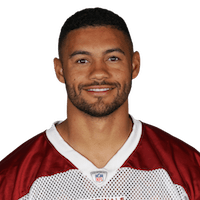 Analysis: With Foster -- who suffered both a torn ACL and MCL in Sunday's preseason game against the Cowboys -- out for the season, the Cardinals bolstered their running back depth Tuesday by signing Darius Victor. Foster (knee) has been diagnosed with a torn ACL, Ian Rapoport of NFL Network reports. Analysis: Foster suffered the injury in Sunday's preseason game against Dallas and will now miss the entire 2018 season. He was competing with T.J. Logan for the No. 3 spot at running back, behind David Johnson and fourth-round rookie Chase Edmonds. The injury moves Logan closer to a roster spot, with potential for a committee role in the event of a Johnson injury. The Cardinals would be wise to check out the free-agent scrap heap after cutdown day. Foster sustained a knee injury and will not return to Sunday's preseason game against the Cowboys. Analysis: The extent of Foster's injury has yet to be confirmed. In his absence, T.J. Logan and Sherman Badie could see extra reps out of the backfield. Foster totaled six rushes for 19 yards and reeled in 17 of 28 passes for 133 yards in seven games with the Cardinals during the 2017 season. Foster played 21 of 65 offensive snaps during Sunday's 12-7 win against the Titans. Cardinals coach Bruce Arians suggested that Foster could help with the rushing workload if Adrian Peterson (neck) isn't available Sunday against the Rams, Darren Urban of the Cardinals' official website reports. Cardinals coach Bruce Arians said Foster will get more snaps while Kerwynn Williams recovers from cracked ribs, Darren Urban of the Cardinals' official site reports. Arizona Cardinals running back D.J. Foster runs down the sideline and picks up 55 yards on kick return. 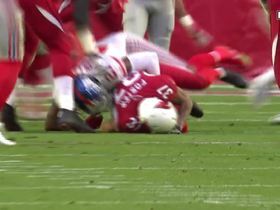 New York Giants safety Landon Collins suffers an apparent injury after laying a huge hit. 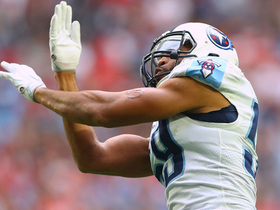 Tennessee Titans linebacker Wesley Woodyard comes away with a huge stop on third-and-goal. 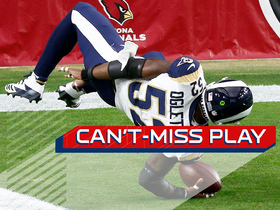 Alec Ogletree picks off Blaine Gabbert. 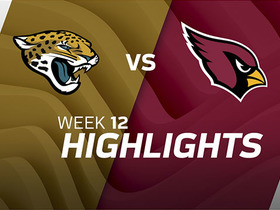 Watch the best plays from the week 12 matchup between the Jacksonville Jaguars and Arizona Cardinals. 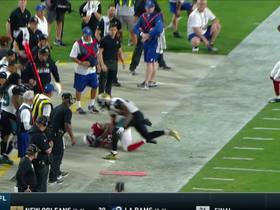 Arizona Cardinals quarterback Blaine Gabbert throws to running back D.J. 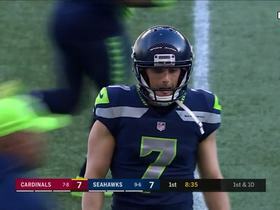 Foster on the sideline for 12 yards.